Watch movies, stream iPlayer and show off your photos on the big screen by connecting your Mac to your TV – here’s how. 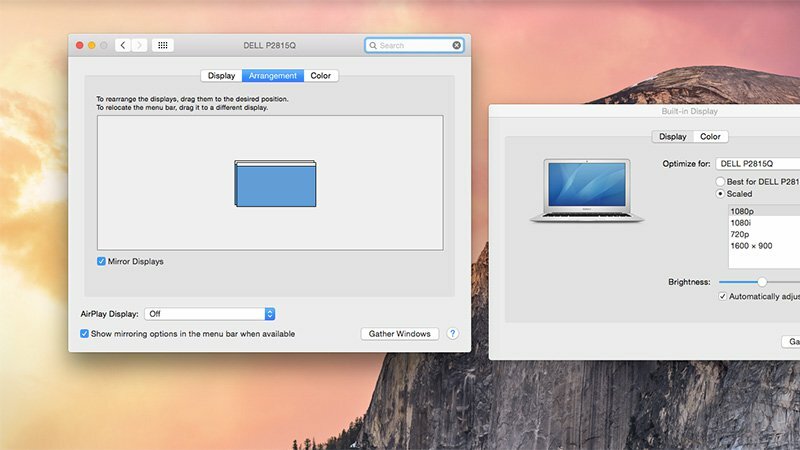 It’s easier than you might think to connect a Mac to a TV. With the right cables, or an Apple TV, you can mirror your Apple Mac display on any television screen in no time. In this feature we’ll look at these options in turn, starting with a range of adaptors and cables you can use to hook up your Mac to your TV. MacBook Pro (Retina, 13-inch, Late 2013) and later. MacBook Pro (Retina, 15-inch, Late 2013) and later. If your Mac is older than those mentioned above, chances are it has a DisplayPort connection. This can be a bit confusing as Thunderbolt uses the same DisplayPort port. But you will need a Mini DisplayPort adapter to connect it to the TV as a Thunderbolt connector won’t work. Again, this is only likely to show up on much older Macs, like the original MacBook Air. It’s smaller than the Mini Display Port. Speaking of similar ports, the MacBook offers a USB 3 port while the latest MacBook Pro offers a USB Type C/Thunderbolt 3 port (the latter two use the same port). You need to find out what your TV video input port is. If it’s a modern TV it’s likely to have an HDMI port – this type of port will transfer audio and video from your Mac to your TV. If your TV is older it you may have a DVI port. DVI connections don’t transfer audio so you will need a separate solution for that. If your TV is really old TV you may need a composite adapter. We think it’s unlikely that you would be looking to hook your Mac to such a screen, especially since it’s easy to pick up low cost TVs with HDMI ports. When Apple released its 12-inch MacBook in 2015, its set of ports was limited to a 3.5mm headphone jack and a single USB-C connection; gone were all the other connections seen on earlier Apple laptops such as Mini DisplayPort and Thunderbolt. Then, in 2016, the MacBook Pro got the same treatment – it’s now only available with USB-C ports. This means that if you’ve got a 12-inch MacBook, your options are a little more limited. In order for you to connect your 12-inch MacBook to a TV you’ll need an adaptor that has a USB-C to HDMI connection. Thankfully suitable accessories have been developed by various manufacturers; including Apple, which sells a USB-C to HDMI adaptor for £69. If you’re looking to achieve the same results but not looking to spend quite that much, Choetech has an identical adaptor for around £28.99, it can be found on Amazon US for $26.99. The adaptor can mirror your Mac at 1080p at 60Hz or UHD (3840×2160) at 30Hz. Once you have the adaptor, it’s as simple as plugging in the adaptor via its USB-C connection to your Mac, and then using a HDMI cable from the adaptor to your television. You’ll need to buy a HDMI cable, which can be found for as little as £6.49, although if you’re anything like us you’ve probably got an HDMI cable lying around the house somewhere. As noted by Apple, any adaptor will slowly drain the battery of your MacBook, so ensure you don’t leave the adaptor plugged in when not in use. If you have the older Mac – in other words, one that hasn’t got USB-C or HDMI – you’ll need to buy a Mini DisplayPort to HDMI adaptor. 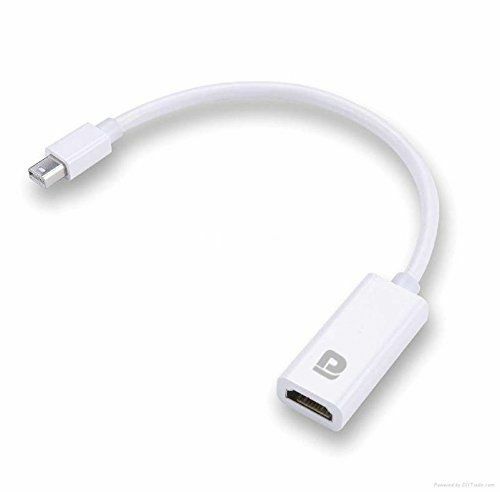 For some reason Apple doesn’t make a Mini DisplayPort to HDMI adaptor, despite making various other cables (such as Lightning to Digital AV and Mini DisplayPort to VGA). But you can pick up this Proxima Direct Mini Displayport to HDMI adaptor (£4.95). Bear in mind you will also need a HDMI cable. If you don’t have one, you can pick up the official Apple HDMI to HDMI cable (£19), or a non-Apple-branded one for a little cheaper at £6.49. Then all you do is plug the MiniDisplayPort to HDMI adaptor into the Thunderbolt connection on your Mac, plug the HDMI cable into the adaptor, and finally the HDMI cable into the television. If you want to mirror the Mac display choose Mirror Display, otherwise arrange your displays by dragging them – the one with the white bar at the top will be the main display. So if you want that to be the TV then make sure the white bar appears on the new screen. You don’t have to use a cable to connect a Mac to a TV – you could also use the Apple TV. The Apple TV connects to your television via HDMI and uses a Wi-Fi connection to connect to your Mac. You can use AirPlay to stream content from your Apple laptop’s desktop to the television, as well as using the Apple TV to stream other content from the web. To share your laptop screen to your Mac using the Apple TV look for the AirPlay icon in the menu bar, it’s a square with a triangle below it. When you click on the AirPlay icon you can choose to play videos or mirror/extend your display to your TV.